See a real Moon rock! A view standing inside the LROC Visitor's Gallery Science Operations Center. 15555 is a piece of basalt, a kind of volcanic rock, which erupted and crystallized almost 3.3 billion years ago. 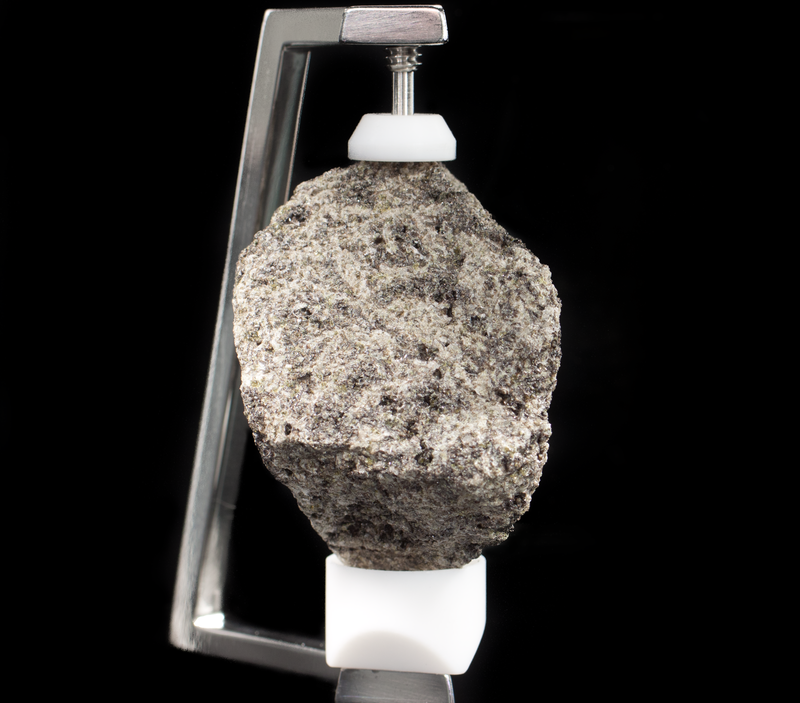 The sample on display in the LROC Visitor Gallery at ASU is a small piece of the much larger rock, which is the largest and most intensively studied of the basalt samples collected at the Apollo 15 landing site. 15555 was collected by Col. Scott about 12 meters north of the rim of Hadley Rille. This rock is predominantly composed of silicate minerals such as olivine, pyroxene, plagioclase, along with some opaque minerals such as ilmenite, an iron-titanium oxide. All of the basalts collected at the Apollo 15 site were found to be the same age, and it is likely that they are related geologically. The bulk composition of 15555 is thought to represent that of a primitive volcanic melt and has been used for experimental studies related to the geologic origin of lunar basalts. Planetary scientists use information gleaned from such analyses to gain key insights into how terrestrial planets like the Moon and Earth form and evolve. Sample 15555 has also been used for critical tests designed to perfect and calibrate methods of radiometric age dating employed by different laboratories around the U.S. and the world. ASU would like to thank the NASA Johnson Space Center for their generous loan of sample 15555. Sample 15555 on display in the LROC Visitor's Gallery. *The first person to walk on the Moon was Neil _________.